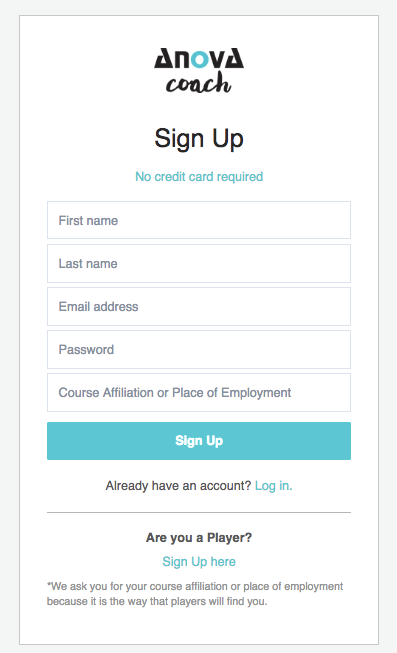 The first step in getting started with Anova is to sign up for your own Anova Coach account. 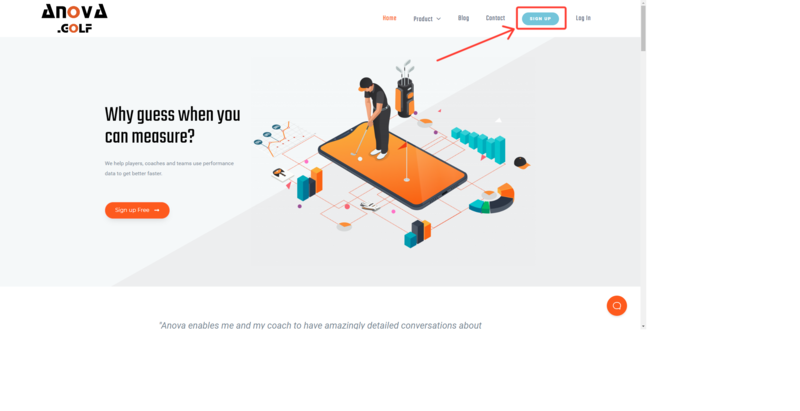 The coach account itself is free to use with a player who is on an active subscription and you will be able to see all of your players' information on a read-only basis. Go to https://anova.golf/ and click on 'Sign up' in to the top right hand corner. Fill out the registration form and click 'Sign Up'. We ask for your 'Course Affiliation or Place of Employment' because it is the way a player will find you in the app. 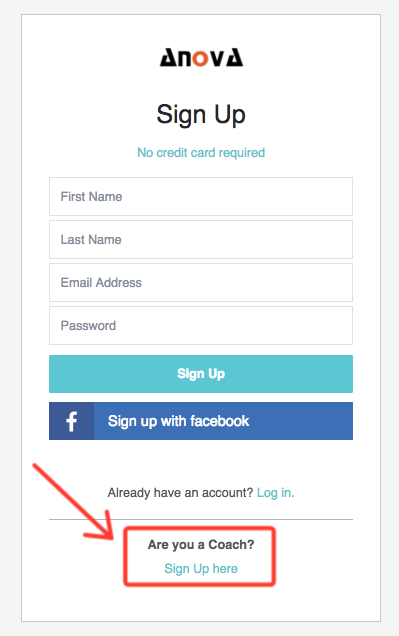 Now that you've signed up, please click here to move to step 2!